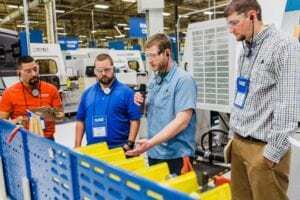 TourGuide Solutions, the North American distributor for Sennheiser, works with organizations and companies that are committed to delivering professional-quality audio regardless of the presentation environment. 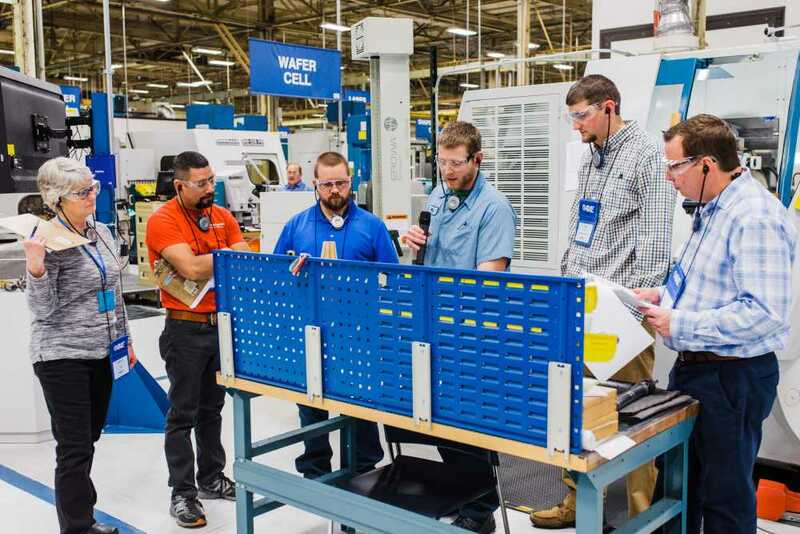 The Sennheiser Tourguide 2020 is a popular choice at Manufacturing Day events across the United States and IndustryWeek’s Manufacturing & Technology Conference because it combines reliability with ease of use and premium sound quality in loud environments. The Sennheiser Tourguide 2020 features options for using a microphone or going hands-free. Its wireless design eliminates the hassle of fumbling with wires, and the lightweight headsets offer individual volume control for maximum audio comfort. TourGuide Solutions also offers tour guide headsets rental options, with the Sennheiser Tourguide 2020 included in the range of brand offerings that touch a variety of quality levels and price points. TourGuide Solutions is offering a spectacular bonus of an additional transmitter with the purchase of every 20-unit Sennheiser Tourguide 2020 system by the end of the year. This $1,000 value includes both a handheld transmitter as well as a bodypack transmitter, providing the ultimate system flexibility to use the wireless microphone or go hands-free. Contact TourGuide Solutions to discuss how tour guide systems can elevate your organization’s presentations to the premium level. TourGuide Solutions offers warranty protection, with post-warranty care standard with every purchase. Next-day service is available to locations within the United States. Call 877-204-0225 or visit http://tourguidesolutions.com for more information about Sennheiser Tourguide 2020 or to request a quote.